This week, a dedicated group of IFAD colleagues and partners participated in the International Conference on Small Island Developing States (SIDS) in Apia, Samoa. It was an action packed week with a number of highlights. The opening of the conference began on Sunday night, with a ceremony and a traditional fire dance. 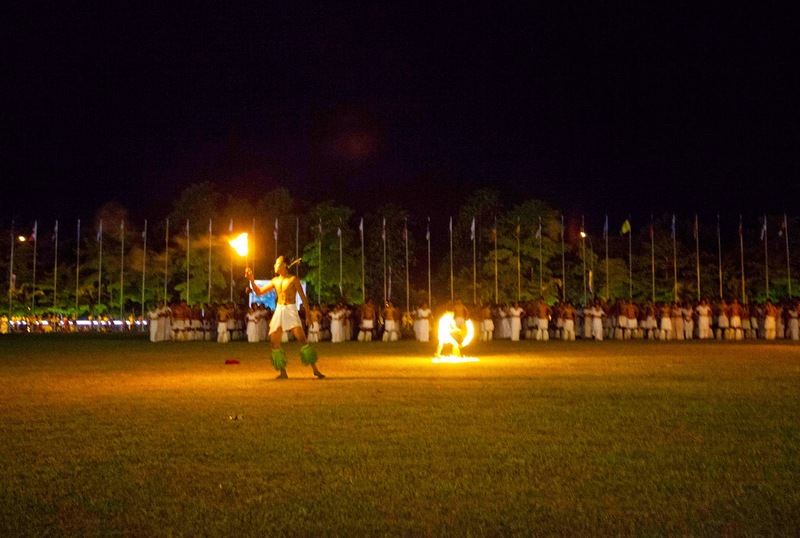 Traditional Samoan fire dance, at the opening ceremony of the SIDS conference. The centrepiece of our participation was the side-event: More than cocoa and coconuts: investing in rural people, developing agriculture. 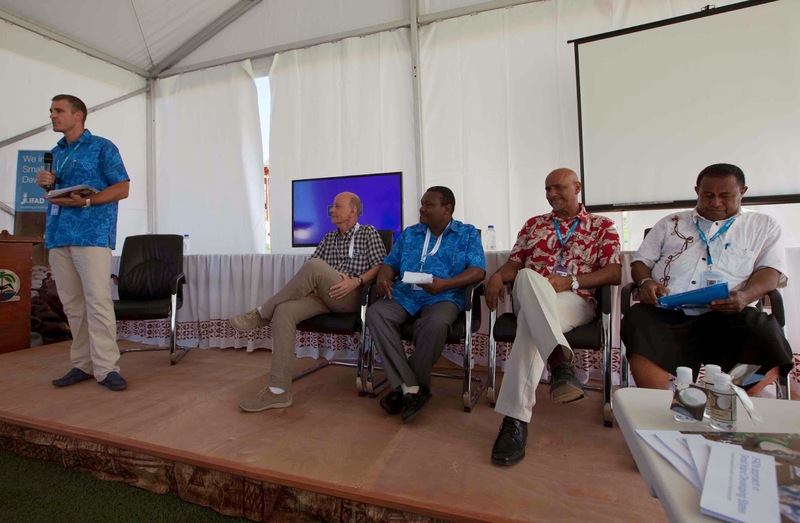 This session presented how IFAD forges partnerships to successfully match smallholders and business opportunities, and generate environmentally-friendly win-win solutions for producers, buyers and consumers in a rural context - and in small island developing states. It was a fast-paced session that began with an introduction by Chase Palmeri, Country Programme Manager for the Pacific Islands (and mastermind of the session) and Périn Saint Ange, Regional Director East and Southern Africa Division, followed by the screening of Small Island Developing States - Partnering for Sustainable Development - a video which set the scene for the discussion. In IFAD we say that working in the field is complex, challenging - and also immensely rewarding. Putting together and running a side-event is no exception. Imagine an open tent, hot and glaring sunshine, the buzz of fans, gusts of trade winds - and yet the show must go on - and it did. The "talk show" which followed the screening, was dynamic and interesting. Many of the people that were featured in the video were in the tent, talking about their experience in real time. 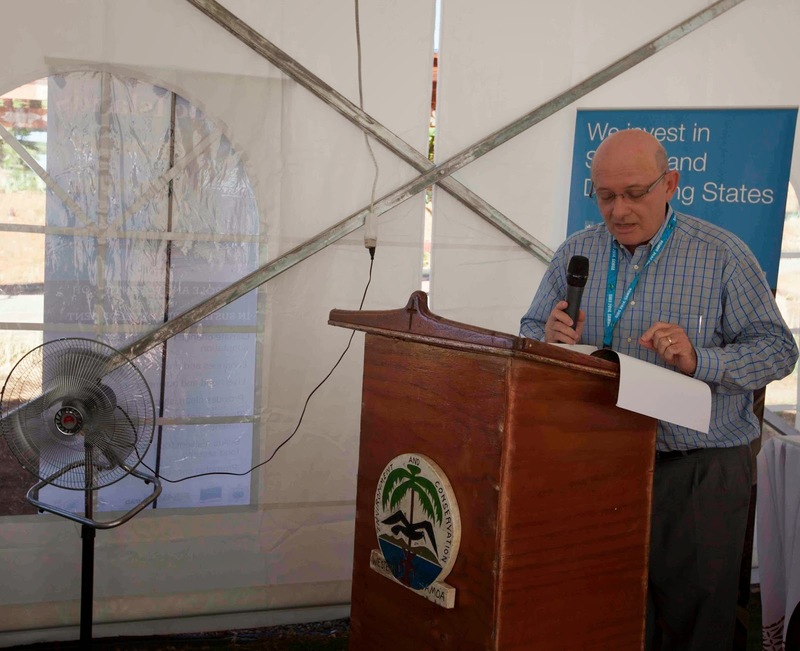 Our favourite host, Ron Hartman, also Country Programme Manager in the Region, guided the discussion. Partnering with the public sector: Making smallholder farmers voices heard in Grenada. IFAD has established strategic partnerships in Grenada with both the public and the private sector to enhance access to markets and entrepreneurship opportunities, particularly for young rural men and women. The Market Access and Rural Enterprise Development Programme (MAREP) provides the Government of Grenada with a unique financial instrument to implement rural policies that benefit the poor. IFAD is playing a bridging role between public sector, smallholder farmers and other rural entrepreneurs by supporting the engagement of its target group in country-driven processes. Joining hands with the Secretariat of the Pacific Community, IFAD has been supporting farmers in the Pacific through the Pacific Organic and Ethical Trade Community (POETCom). The POETCom is working with members of the Cicia Rural Development Committee and the community to build farmer capacity to manage certification requirements and meet market demands and standards through a method of organic certification known as a Participatory Guarantee System (PGS). The IFAD-funded initiative has offered a low-cost way to achieve organic certification and develop local market chains. In São Tomé and Principe the end of the cocoa industry seemed inevitable, but IFAD recognised the potential for a high quality cocoa market. It developed key partnerships with the Government, local cooperatives of cocoa producers and private companies operating within the organic and fair trade markets to re-launch the cocoa industry. By combining organic production and fair trade principles cocoa exports have increased 30-fold and 2200 smallholder farmers have seen their incomes raised five-fold. At the same time biodiversity protection and sustainable uses of resources have been promoted. We concluded the session with Périn Saint Ange presenting IFAD's Approach to Small Island Developing States and wrapping up. It is key to pick the right partners and build trust. Trust needs time to develop. Good partners are those with a long term development vision. 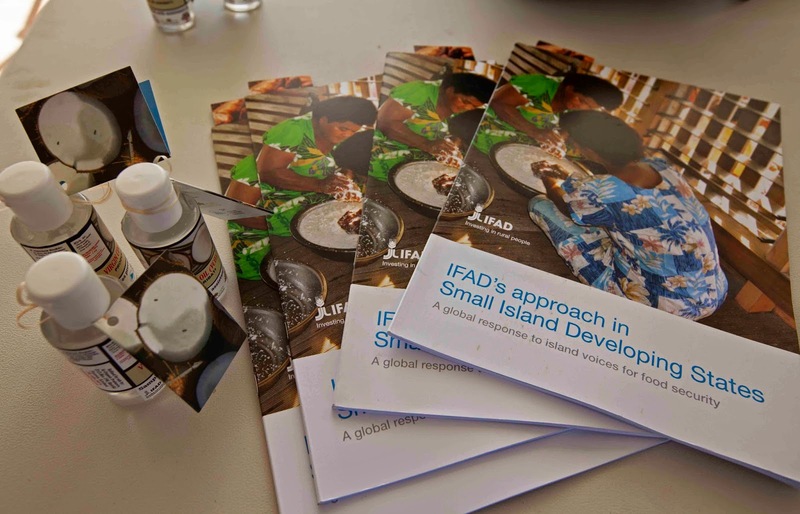 Overall the side-event and IFAD's participation at the SIDS conference was a great success. We had the opportunity to share our knowledge and experience and confirm our future commitment to the rural development of small islands states - a large number of nations that share common obstacles and challenges as well as a unique context and set of circumstances.